These 30 ml Luer Lock syringes are for drawing and dispensing e-liquids, VG, PG, and flavorings. 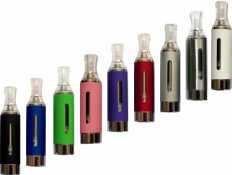 Fill your own bottles, cartomizers, or use for mixing your own e-liquids. These have 1ml increments and numbered on each 5 ml.